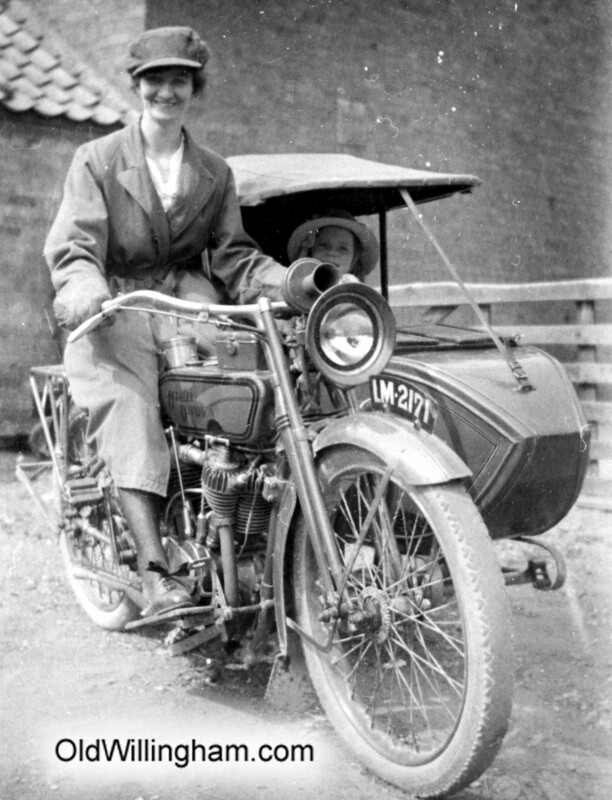 This month we see a cheerful woman on a motor bike, with an equally cheerful girl (probably her daughter) peeping out of the side car. You might not guess based on the modest design of the bike but this is actually an early Harley Davidson. These days Harley Davidson are famous for iconic big US macho motorbikes but they started production in the early 1900s. William Harley’s father was from Littleport, Cambs, emigrating to USA in 1859. The motorbike in the photo is model 16-J which was produced in 1916. Interesting there is another photo in the collection of the same model driven by different people and with a different registration plate. So they must have been popular in Willingham!